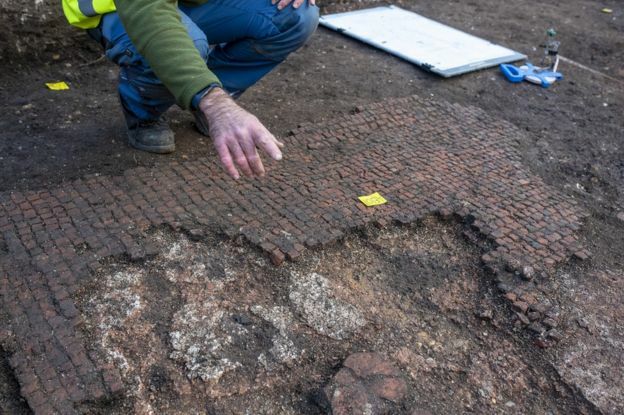 Archaeologists have unearthed the mosaic-like floors of a number of Roman homes next to a theatre complex. 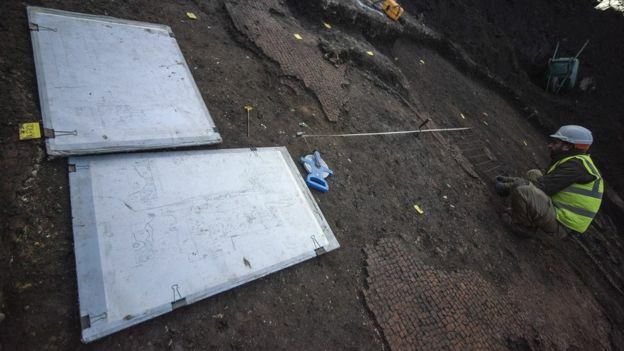 The finds were part of an excavation next to the Mercury Theatre in Colchester, Essex. 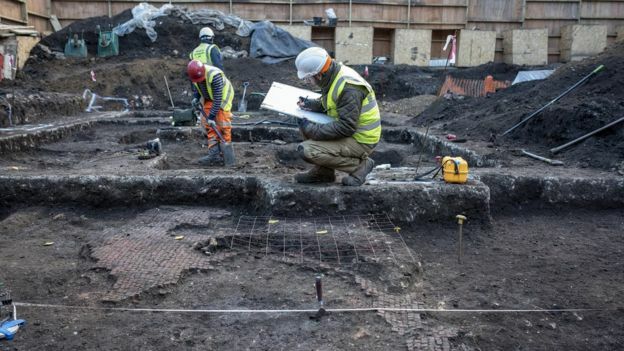 As well as the Roman floors and home foundations, archaeologists have also found a number of items including a bone dice and a candle holder. 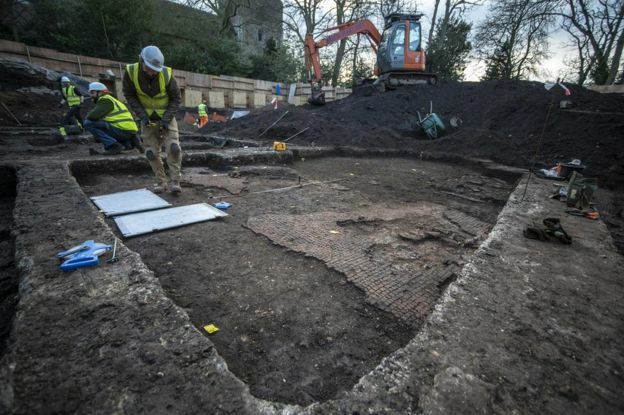 Archaeologist Philip Crummy said: "To find anything well-preserved in Colchester is exciting." The dig is part of an £8.9m extension and refurbishment of the Mercury Theatre, which sits next to the town's Roman wall. 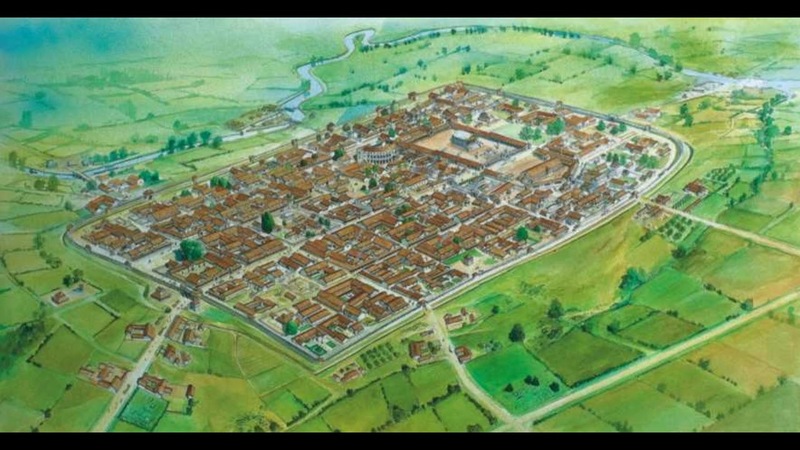 "This was clearly a fairly well-off part of Roman Colchester," said Mr Crummy. "In Colchester of the 2nd Century, the homes often had tessellated or mosaic floors, under floor heating, piped water and painted walls - just like some of the houses you would find in the Mediterranean. "What we see here ranks near the middle standard of home. We have seen some lovely fragments of painted wall plaster. "Its been very interesting and rewarding to be given the chance to investigate this." The Mercury extension will be built on piles which will be installed away from the most significant of the Roman flooring finds. "The floors we are looking at are typically second and third century," said Mr Crummy. 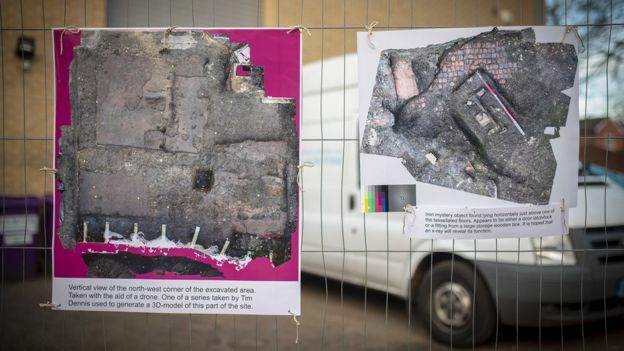 "What we can tell from what is on top of the floors is when it stopped being used and we can see from the remains lying on the floors there that these buildings were left derelict to stand." Finds include an iron object about 15in (38cm) in length and a coin dating to about AD360. It is thought to have been some kind of fitting and has been carefully packaged up and will be examined to see if there is some kind of mechanism. 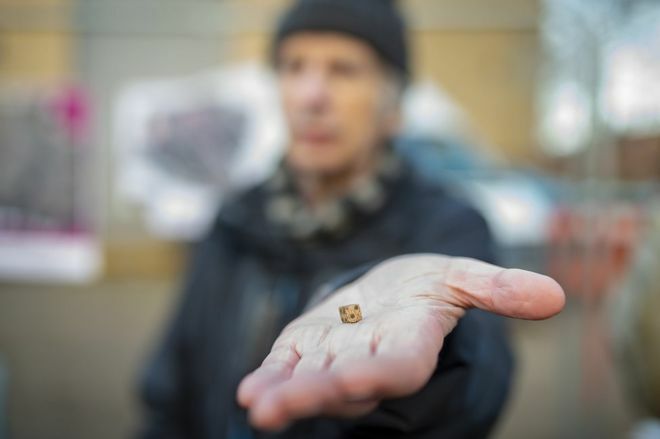 "We've found a tiny little dice as small as a finger nail," said Mr Crummy, "which suggests people were spending happy hours playing dice. "There's also a good looking counter, like a piece of tile which has been shaped, which we assume was used in games." The theatre's regeneration project has been awarded funding worth £7m from Arts Council England, Colchester Council and Essex County Council but has been seeking the remaining £1.9m needed from public donations.